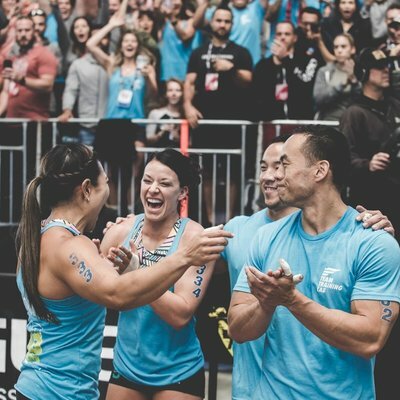 Donations will be used to support the costs involved in competing at the CrossFit Games in Madison, Wisconsin. The main costs are: Entry Fee, Flights, Rental Car, Lodging & Meals. Competing can be financially straining due to the costs involved and the time that will be taken off of work. Receiving help through fundraising will help us in our journey. Family, friends, and fans - Thank you so much for taking the time to view our fundraiser page. Your support in helping us get to the Games is highly instrumental and any donation would be greatly appreciated. This wouldn't be possible without the help of our AMAZING community! Thanks again and see you in Madison! "Ted needs a new favorite shirt"
"From me and Tay..good luck brudah!" "Go amaze them all ❤️"
"Donating because Meris asked me to and she’s awesome and you were awesome to her. Cheering from NJ. " "So proud of our TTL team! " "Good luck Torrance Training Lab!"